The Howard Lake Library welcomed a V.I.P. to town on Saturday, July 26th: Smokey Bear. 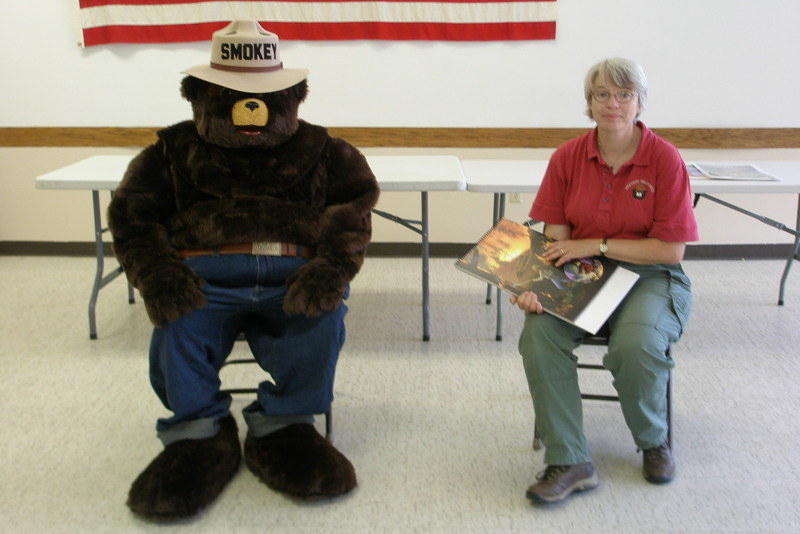 Smokey, along with Minnesota DNR employee Linda, presented a program on preventing wildfires. Every child present went home with a booklet telling Smokey’s story. 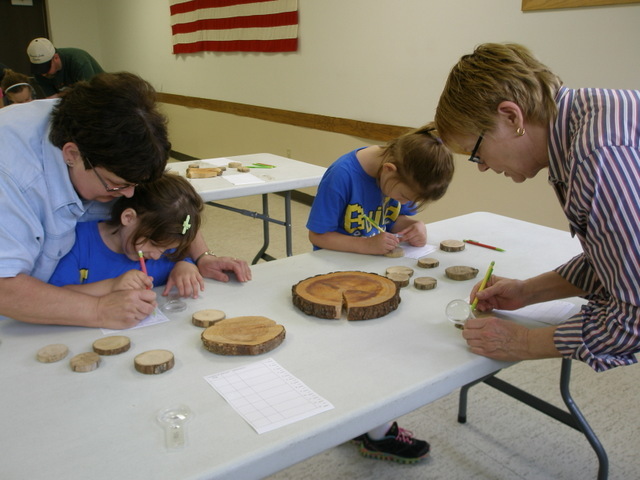 Thanks for the Minnesota Department on Natural Resources for providing this program. 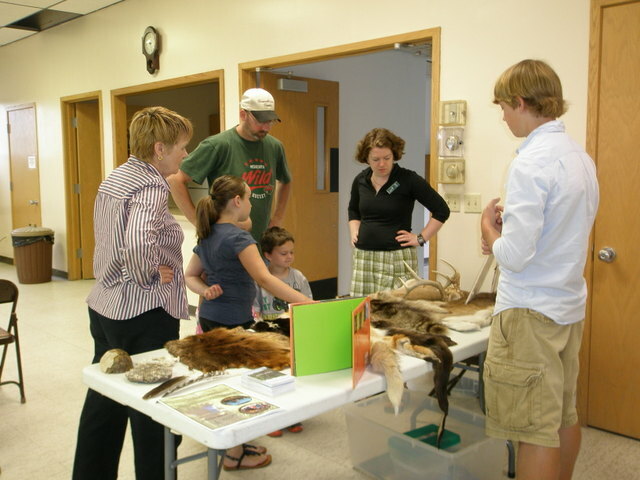 Two members of the St. John’s Outdoor University team from Collegeville presented an interesting program on Saturday, July 12th in the Howard Lake Community Room. There were animal pelts to touch and tree rings to count. The audience did a “guess the animal footprint” game with the presenters. Rubber casts of footprints and verbal clues lead the correct guesses by participants. 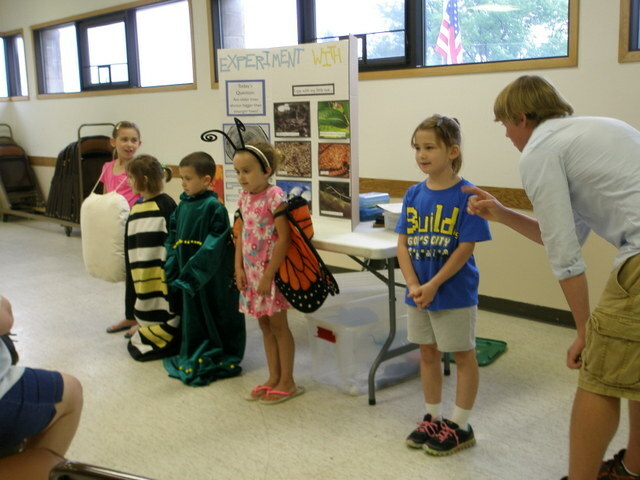 The group also presented a short play about where a butterfly comes from. 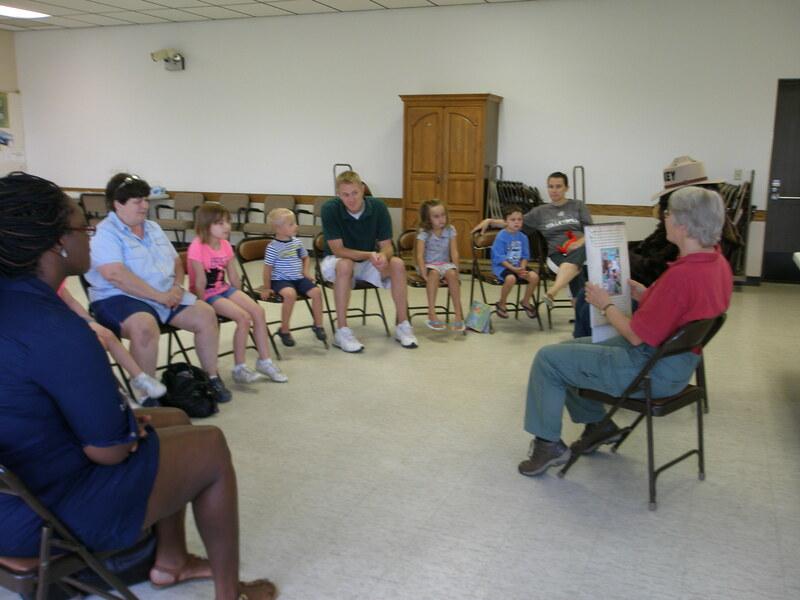 This program was brought to the Library by the Friends of the Howard Lake Library. 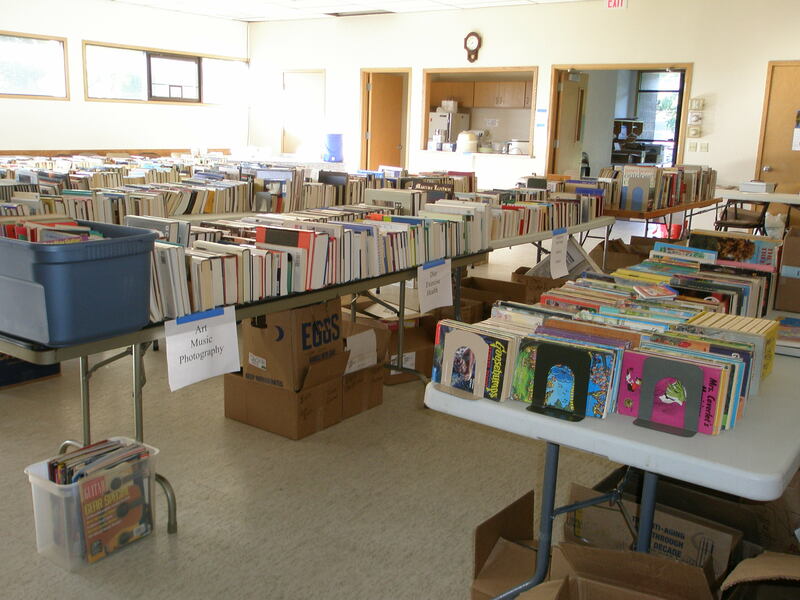 The 2014 Friends of the Howard Lake Library’s Book/Food sale offered many great books and much tasty food at reasonable prices. The crowd was lined up before the doors opened and at 9 AM many happy shoppers entered the room. After selecting treasures from the varied genres many shoppers took the time to enjoy sloppy joes, strawberry shortcake or coconut cupcakes and a cup of coffee. The eating area allowed time to visit with friends & neighbors while enjoying lunch. The Friends thank everyone who volunteered or came to shop or eat at the sale. 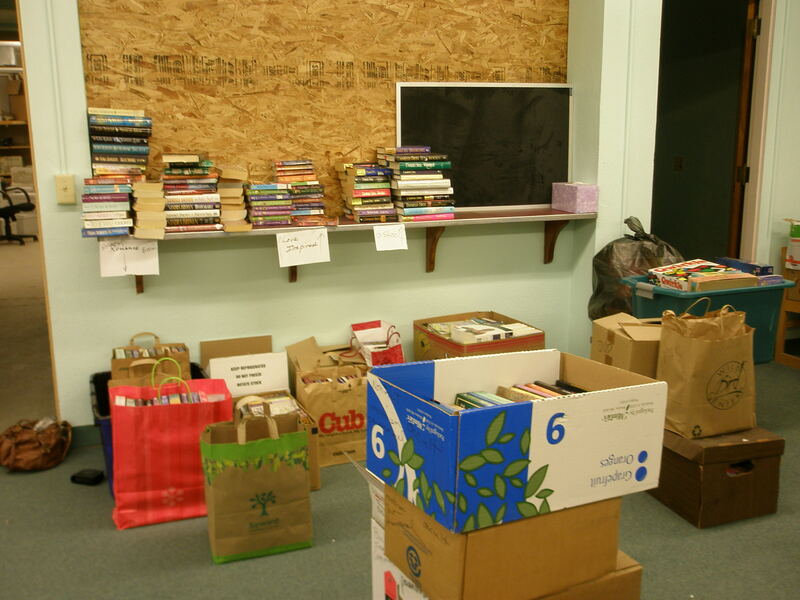 It is through well-supported fundraising efforts that the we are able to provide the “extras” to the Howard lake Library. See you at next June’s sale. 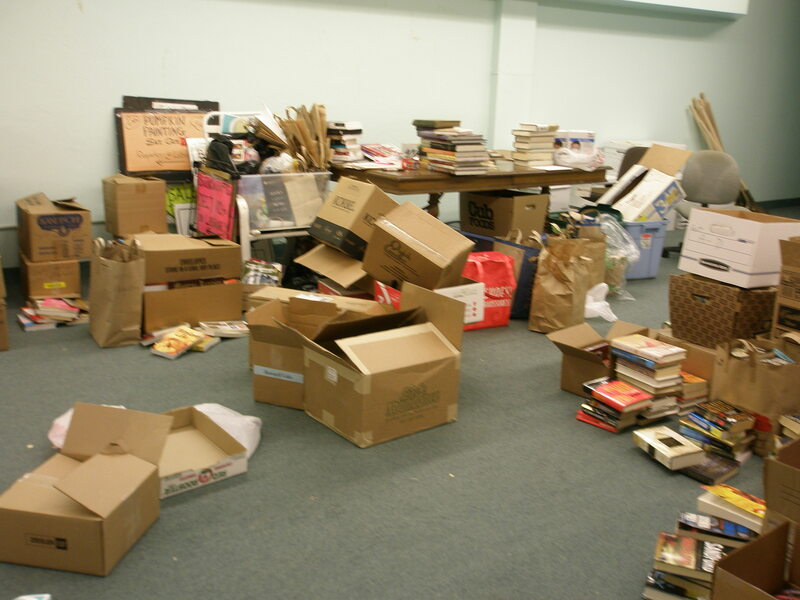 Here are some before and after photos showing the book sorting process near completion and the final sort completed just awaiting the arrival of shoppers.